This Saturday, 26 January 2013, is Australia Day, the official national day and commemorates the arrival of the First Fleet at Sydney Cove in 1788. For many Australians, it is all about BBQs, ferry races, cricket and the Hottest 100. To say beer drinking is common is probably an understatement. Do beer drinkers attract more mosquitoes? Could there be a more perfect story for our local media on the eve of Australia Day? Besides rain, about the only thing that can spoil the day is a swarm of mosquitoes. Unfortunately, late January is at the peak of the local mosquito season. This year, Australia Day falls about two weeks after some major tidal flooding of our coastal wetlands (particularly the east coast of Australia). This is a major trigger for mosquito activity. This summer has already been marked by ideal conditions for our major nuisance-biting pest and vector of Ross River virus, Aedes vigilax (the saltmarsh mosquito). Current mosquito numbers along the NSW coast are the highest they’ve been this summer and local authorities have issued health warnings. While the idea that beer drinkers attract more mosquitoes is a quirky story and is bound to spark some media interest, the phenomenon is more than just folklore. There have been a couple of studies looking at the role of alcohol in influencing the attraction of mosquitoes. A Japanese study published in the Journal of the American Mosquito Control Association demonstrated that drinking 350ml of beer increased the landing rates of mosquitoes. One of the most recent, and perhaps well publicised, studies was by Lefèvre et al. (2010) “Beer Consumption Increases Human Attractiveness to Malaria Mosquitoes”. In their study, Anopheles gambiae (probably one of the world’s most important malaria vector) were used in Y tube-olfactometer tests to see if their host-seeking behaviour changed in the presence of beer drinking and non-beer drinking volunteers. The results showed that 15 minutes after drinking 2 pints of beer (a little less than 3 schooners by Australian standards), beer drinking volunteers attracted more mosquitoes. The reason for this result was unclear but it wasn’t due to either a change in the temperature of the volunteers or increases in exhaled breath (two factors that are generally thought to increase an individual’s attractiveness to mosquitoes). There have been many studies over the years that have demonstrated a difference in the attraction of mosquitoes in response to humans. It is a subject that fascinates many people and has lead to many urban myths about mosquito attraction and repellency. While the exact reason why some people attract more mosquitoes than others hasn’t quite been nailed down, it is thought to have something to do with the “smell” of the chemical cocktail of microbes on our skin. There are thought to be over 300 different chemicals on our skin and that their “blend” influences how many more mosquitoes we attract compared to our friends. It is possible that drinking beer changes that blend and, consequently, beer drinkers end up attracting more mosquitoes. In reality, based on recent studies, after a few beers you’ll probably not notice the mozzies and you’ll be a little less effective in swatting them away. The key issue here though is to remember that not all mosquitoes share the same tastes for humans. Just because Anopheles gambiae is more attracted to beer drinkers, it doesn’t mean that the Australian saltmarsh mosquito will be too. The difference in host-seeking behaviour may be most vividly demonstrated in studies that showed that Anopheles gambiae was attracted to Limburger cheese. This smelly cheese contains bacteria closely related to bacteria found on our feet. While this has been shown to attract mosquitoes with a preference for biting humans, mosquitoes with broader preferences, such as Aedes vigilax, are less likely to be attracted to the stinky cheese. What does all this mean for beer-drinkers on Australia Day? To be honest, you couldn’t be certain that drinking beer will result in more mosquitoes being attracted to you. However, there is little doubt that there will be plenty of mosquitoes about over the weekend and unless you take precautions to avoid mosquito bites, you’ll end up with a few extra itchy bites on your return to work or school and, at worst, increase the risk of catching a mosquito-borne virus such as Ross River virus. You can find some tips on avoiding mosquitoes here. There is usually a bit of media interest in mosquitoes during the summer months. As most people start thinking about lazy coastal holidays and endless BBQs, the topic of mosquitoes isn’t far from mind so it is no surprise that there is interest in the topic. I was involved in two recent articles in local media. 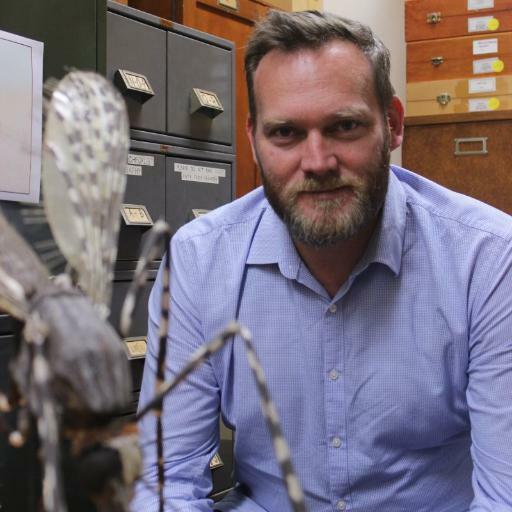 The Sydney Morning Herald ran a piece by Julie Power on my mosquito research and its contribution to understanding the health risks associated with coastal mosquito populations. 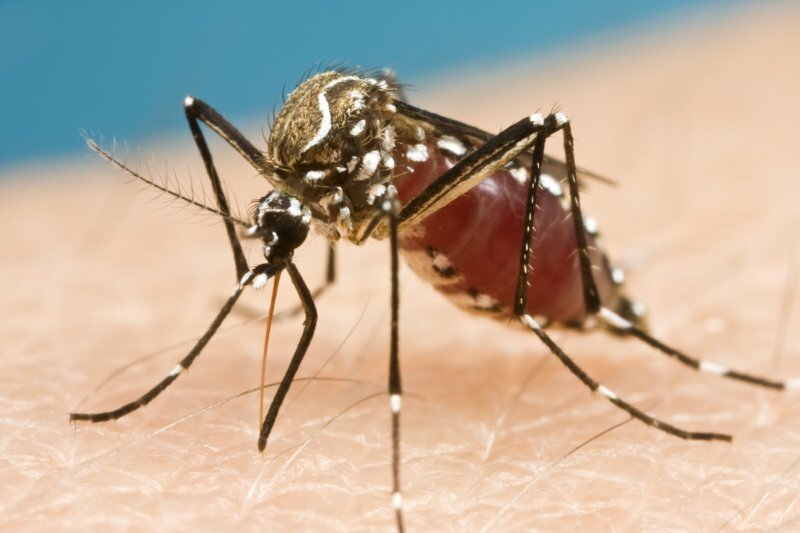 This was a timely piece as NSW Health had recently issued a public health warning about mosquito numbers along the coast and the possible increased risk of Ross River and Barmah Forest virus during the holiday period. The second article was by Matthew Kelly in the Newcastle Herald on my research project with Hunter-Central Rivers Catchment Management Authority on the Hexham Swamp Rehabilitation Project. After two years under relatively cool and wet La Nina weather patterns, mosquito populations associated with most coastal wetland areas were generally pretty low. 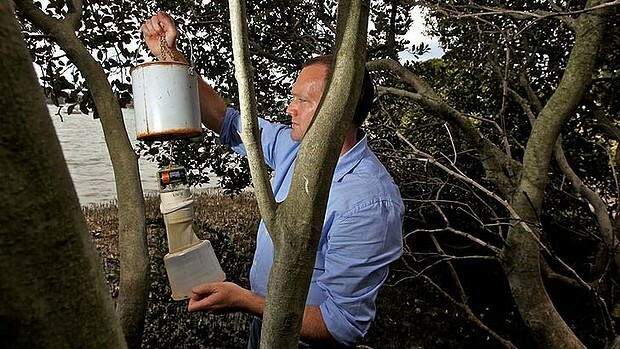 The Newcastle Herald had run a story in early 2012 reporting our findings that mosquito populations associated with Hexham Swamp were actually relatively low. The shift back towards hot and dry El Nino conditions mark an increase in the suitability of habitats for the saltmarsh mosquito Aedes vigilax. We’re expecting to see increases in the abundance of this mosquito along the east coast of Australia over the coming summers. It will be interesting to see how populations of this mosquito associated with the Hexham Swamp Rehabilitation Project respond to these conditions. It was one of my great pleasures in 2012 to be asked to write some articles for the wonderful website The Conversation. The Conversation is an independent source of analysis, commentary and news from the university and research sector — written by acknowledged experts and delivered directly to the public. The writing style at The Conversation is vastly different to writing for peer-reviewed scientific journals and I strongly feel as though my writing has greatly improved for the experience. As well as a steady increase in confidence writing in a “The Conversation” style, putting together a few articles on the year has also helped improve the way I write other material (e.g. fact sheets, articles for trade bulletins, newsletters etc). I’ve even found it has helped in the way I put together lectures and conference presentations too. My articles have had over 14,000 readers and I hope I’ve been able to pass on some useful public health advice on avoiding biting arthropods and the pathogens they may (potentially) transmit! I must also pass on my many thanks for the assistance and encouragement provided by the two editors responsible for wrangling my writing, Reema Rattan and Fronscesca Jackson-Webb.